The end of 2013 marks Flightfox's first full calendar year in operation - woo hoo! To celebrate we looked back at our top routes, most popular destinations and craziest contests. Christmas is in the air and everyone is getting excited for the holidays. That's great news for Flightfox because travelers around the world are launching contests in order to return home, decorate the tree, and drink some spiked egg nog. To help more people travel home to be with their loved ones, we launched an in-house contest to see just how much our experts could help you save. Expert flight-hacker Tovlad saved $13,800 off the regular Kayak price for a first class ticket from Wuhan, China to Montreal, Quebec. Sweet, that's more than a 75% saving! But Wuhan, China isn't a very popular city to fly from… With our end of year wrap-up we wanted to know where most of our travellers were really coming from and where they were flying most often. American business travellers and tourists alike are always trying to find deals on domestic flights from San Fransico, California to New York, New York. This route is the most popular cross-America flight by a mile. From one major city to another, this trans-atlantic flight is the most popular route for North American travellers who want to get to Europe. Flying out of Australia is no easy feat, but arriving at San Francisco is one of the best ways to get off the island continent. Our experts have had lots of practice finding deals on this route since it's the third most popular contest launched. Aussies are notorious travellers, eager to venture out and see the world, and just like North American travellers, the best and cheapest way to get into Europe would be through London. It may be a long route, but our experts are up for the challenge with this trip. With America and Australia the two most popular countries of travel on Flightfox, this number one route is no surprise. There is hands-down no better way to get to North America from Australia than through LAX, and the 13.5 hour flight is a breeze for our experts to hack - one expert even found the route for $500 USD. $500 for a flight from Sydney to LA, now that's impressive! We know the popular routes, now let's see the most popular cities (which are popular both as departure points and destinations). The third most popular city on Flightfox is Los Angeles. Our second most popular city is San Francisco. 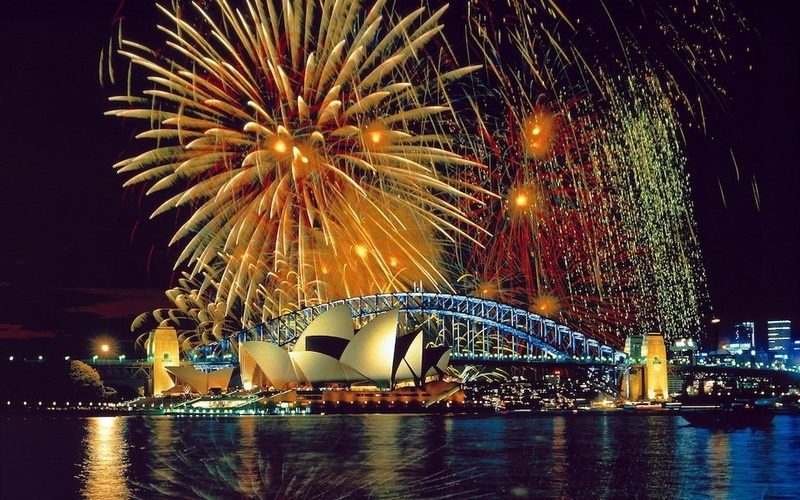 The most popular city on Flightfox in 2013 is (surprise surprise) Sydney! So why is Sydney so popular? Todd Sullivan and Lauren McLeod, two Aussies living in Sydney, launched Flightfox back in February 2012 (on the 14th). Happy Valentine's Day travellers! The startup gained popularity in Sydney before the pair picked up and moved to San Francisco, California to grow the business and particpate in Y Combinator. Sydney to San Fran, that's a familiar route! These two major cities then became two of the most popular hubs for Flightfox, with travellers flying nearly 7,500 miles (12,000 kilometres) between them. That's enough history, let's get back to the fun stuff! We've hosted a collection of showcase contests in the past (meaning a contest run by Flightfox solely to see how much our flight experts can save), and in 2013 we launched some pretty crazy showcase contests. Our experts found a First Class Flight from Buenos Aires to Montreal for only $2,325 for one of our staff. They experienced Lufthansa's new first-class cabin, which included both a seat and a bed for each flyer! Our experts created a trip to visit all Seven Natural Wonders of the World (on six different continents) for $3,370. The trip included stops to The Great Barrier Reef, Mount Everest, the Grand Canyon and more breathtaking spots. For the European backpacker, our experts found flights to 10 Different European Countries for an incredible $232, that's $1000 less than the popular Eurorail pass! But what about our customers? Are they launching crazy round-the-world trips like this as well? Actually, Yes! Early in 2013 "rtwtraveller" launched a contest to, you guessed it, travel around the world. 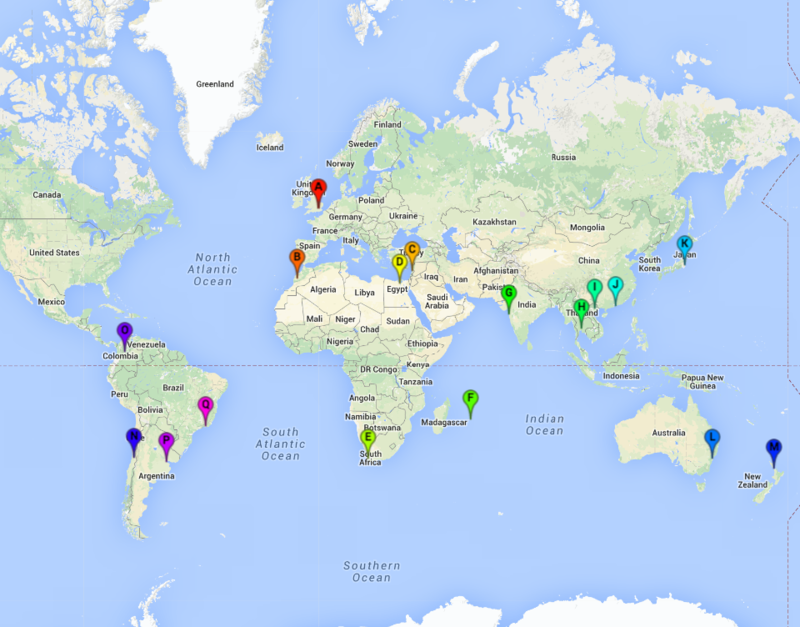 Here are all the places he flew to. That's sixteen different countries (leaving from London) and he wanted to see them all in three months. Of course the experts rose to the challenge. Expert Aarontheseira found the best route and was awarded the $248 finder's fee. How many contests have customers launched on Flightfox? 17,940 since we first started, and counting. How many flights were booked thanks to Flightfox? 145,352 An average contest includes 2 travellers and 4 flights. How many people applied to be Flightfox travel experts? More than 3,800 people from around the world! What's the most someone has paid for a Flightfox contest? $500 to fly first class to Asia for a ridiculously low price. What's the average amount paid to launch a Flightfox contest? It swings between $24 to $500, with the average around $50. Anything else you want to know? Feel free to ask us your own questions down below, in the comments. Wait, don't rush off to your holiday tree-trimming and caroling parties just yet, we have an announcement to make! Listen up Flightfox fans, there are some BIG changes coming next year. You can expect hassle-free booking, real-time chat, better and faster flight results, hotel booking options, more information about the Flightfox experts and a new puppy (okay so there's no puppy, sorry). Thanks for the support thus far travellers - happy holidays and safe travels!